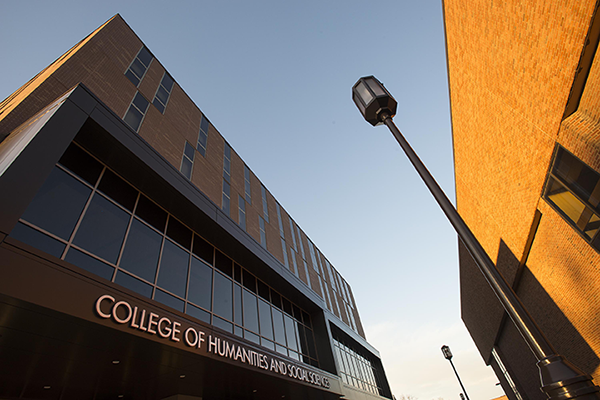 English, Philosophy, Religious Studies, Geography and Regional Planning, and Journalism departments will move into the new Humanities and Social Sciences building in January. In my last message, I described initiatives in our new strategic plan, which includes developing new programs in environmental engineering, public health, and digital science and security. You’ve seen in IUP Magazine or in IUP Alumni Connections that in January we will open a new building for our Humanities and Social Sciences programs and that we are planning a new building for our science programs. You might wonder, after we decide to do these things, how we push them forward from shared idea to reality. Doing them takes an incredible amount of team work from the people who daily interact with students, who understand what their needs are now, and who must predict the needs of future students. What might surprise you is the number of volunteers who work right along with us. Our Council of Trustees, the Foundation for IUP Board of Directors, the IUP Alumni Association Board of Directors, the IUP Research Institute, and the Student Cooperative Association all play a role in the variety of details, but we have other volunteers who will play a starring role in our success. In recent interviews, our current Deans Merit Scholarship awardees have described how the people they have met at IUP—professors and peers alike—have had a most positive influence. This is something we hear often from alumni. We believe the time is right to capitalize on that sentiment and facilitate more opportunities for alumni to make further IUP connections and also to ask for their counsel. We are forming regional networks where the greatest concentration of alumni live and work, starting closer to Indiana, in New York, Philadelphia, and Pittsburgh. We will eventually branch out from there. In addition, our academic colleges and our Athletics Department have formed Advancement Councils. In mid-October, we brought to Indiana 60 or so alumni and friends from across the country for our first-ever summit of those seven councils. We’re asking these subject-matter experts for their advice and wisdom, to help us be sure that we’re providing students with the right opportunities while at the same time working toward securing IUP’s financial future through philanthropy. Among those volunteers is Tim Cejka ’73, the retired president of ExxonMobil Exploration Company, who serves on the College of Natural Sciences and Mathematics Advancement Council. He and his wife, Deb Phillips Cejka ’73, have now fulfilled their $5 million commitment to our science initiatives. We are grateful for their confidence in us and for the confidence of all the members of the councils who have volunteered to work with us. The Cejkas’ transformative gift illustrates how far we’ve come and how much farther our careful planning and hard work can take us. This conceptual drawing shows how a new sciences building could look, from the perspective of Oakland Avenue. Wilson Hall is shown in the center. Tim and Deb Cejka’s $5-million gift supports the building. Last Saturday, we celebrated commencement—a ceremony that marks a brand-new beginning for the students who will cross the stage and then move their tassels from one side of the mortar board to the other. It seems like IUP itself is in the throes of a commencement, too. Students are thriving—thanks in large part to investors like you—and as we shore up these groups and networks, we are sure to receive the very best advice, direction, support to march on. After all, what better source of wisdom and advice could we seek than that of those who know us best?